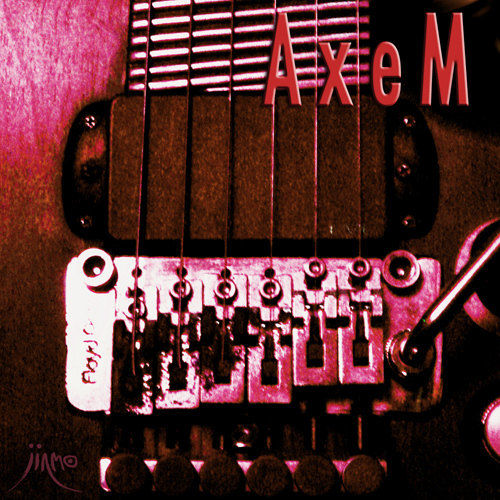 This album "AxeM" is the second series work following "AxeS". JINMO played an Axe "M". "M"... , the guitar "MEW". His friend made it for JINMO in 1989. It is the special guitar with 42 frets designed for tapping technique. This is JINMO's guitar tapping solo live recording. There are no picking, no overdubs, no synth, and no MIDI devices. And there are no traditional guitar languages. The album "AxeM" is the non-idiomatic improvisation soulscape. idiomatic improvisation brings the lexical stereotyping. i aspire the liberation from a limit of self-expression. on 3bpm - 300bpm, something is moving in my soulscape.